Yes, I know, the quality of these pictures is not really up to "blogging-standards", but I just had to tell you about my dinner last Thursday. My friend booked 11 places at Pizza East, 10 pm. It was the only time available, so we arrived to the restaurant with high expectations and growling tummies. The restaurant has a really cool vibe (being part of the Soho House Group, how could it not? ), and we were seated at a table upstairs, where you can also find a bar and a small but cozy outside terrace. We sat down, ordered our pizzas and chatted while we waited for them to arrive. 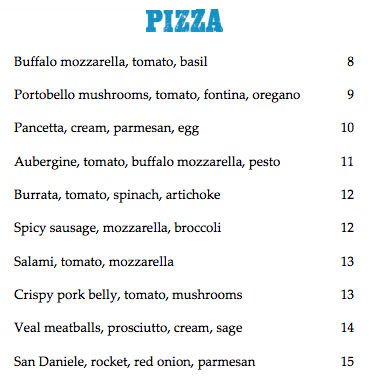 There's no massive list of options like at most pizza restaurant, but instead there's 10 carefully thought out delicious combinations. 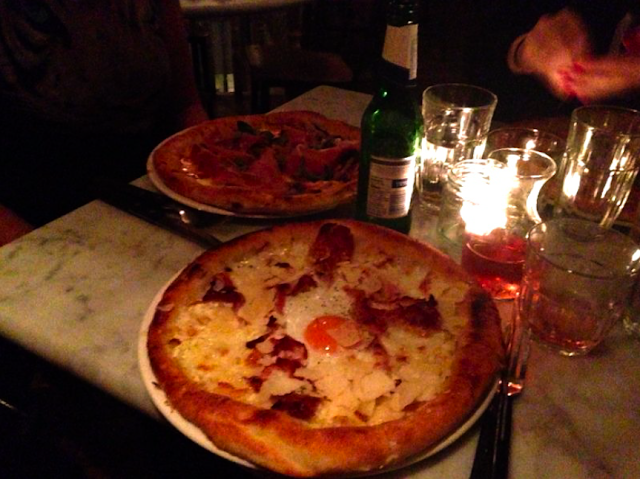 My friend next to me chose the pancetta, cream, egg and parmesan pizza. Left: pizza with burrata, tomato, spinach and artichoke. Right: pizza with crispy pork belly, tomato and mushrooms. Everything about my pizza was delicious: the thin crust, the crispy salami and the creamy mozzarella. Even the dough crust, which can sometimes be a bit dry or too charred, was really perfect. Hands down best pizza in London I've tried so far. I'll be coming back for more! 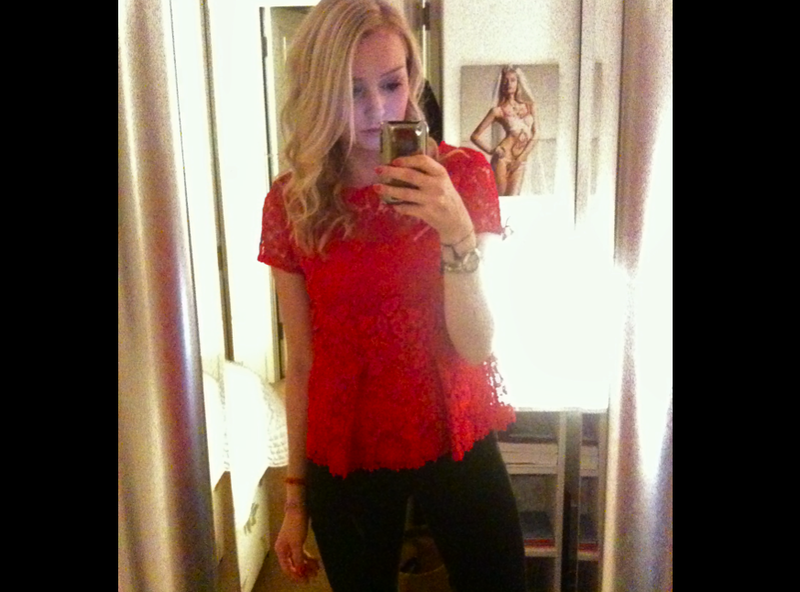 My favourite red lace top from Zara, high waisted black jeans from Gina Tricot and curly hair made with my Remington wand. Pizza East: totally worth the hype and a must-go if you want a really good pizza. Have any of you been?